This mug has a funny quote that is a funny spin off The Chive’s slogan keep calm and Chive on. 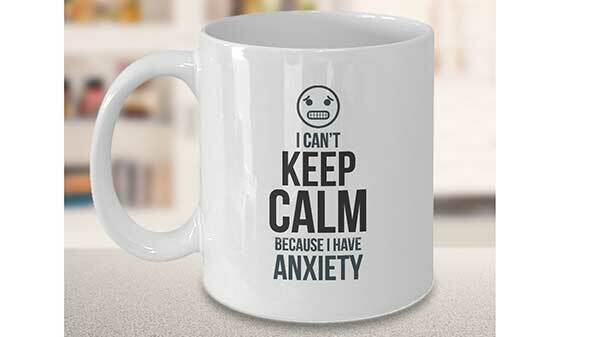 It makes a funny gift idea for someone with anxiety or stress out. 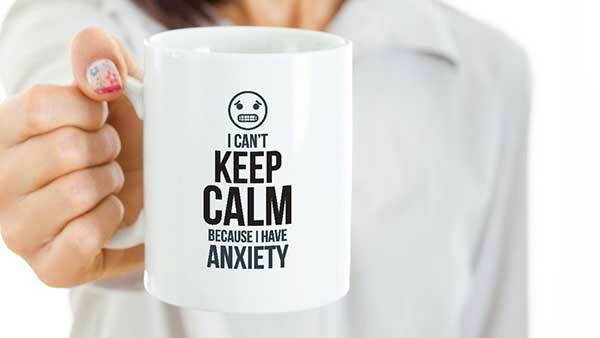 Anyone with anxiety will definitely be able relate to the quote on the mug, which reads, “I can’t keep calm because I have anxiety.” The mug is microwave and dishwasher safe. The professionally imprinted image and lettering won’t fade like cheaper mugs. This means the lettering won’t fade like cheaper mugs. The mug comes in Styrofoam packing to ensure it is not chipped or scuffed upon arrival. The dimensions of the mug are 5x4x3 inches. The mug can hold 11 ounces of hot or cold beverage. To buy this mug on Amazon, or to get the most up to date pricing information, hit the check it out link at the top of the page. If you have comments or questions, feel free to leave them below.